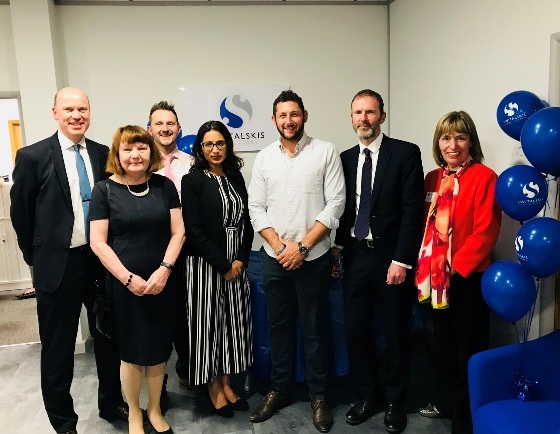 Switalskis Solicitors’ Doncaster office has marked its first-year anniversary with a celebration event, joined by Yorkshire cricketer and two-time Ashes winner, Tim Bresnan. The firm moved into its offices in Sidings Court in Doncaster last year, with an office in Sheffield opening at the same time, bringing Switalskis’ total offices in the region to 13, including premises in York, Huddersfield and Boston Spa. To mark the occasion, the team was joined by 60 members of staff, business associates from across the region and those in brain injury-related professions, to celebrate its successful first year. After joining the business in 2016, Switalskis director Mark Hollinghurst, head of the Switalskis Brain Injury and Serious Injury department, made the move to Doncaster with his established team of legal professionals. Mark said: “The move has been great for staff and has enabled Switalskis to branch out into the South Yorkshire marketplace. For clients, we have been able to extend our advice and support, in view of connected departments such as Court of Protection and community care, particularly in brain injury cases. The business is currently looking forward to further expansion over the coming months, adding more specialists to the team in South Yorkshire. The office, which currently employs five legal professionals, has capacity for 12 additional fee earners and support staff and further recruitment is planned for the coming months.